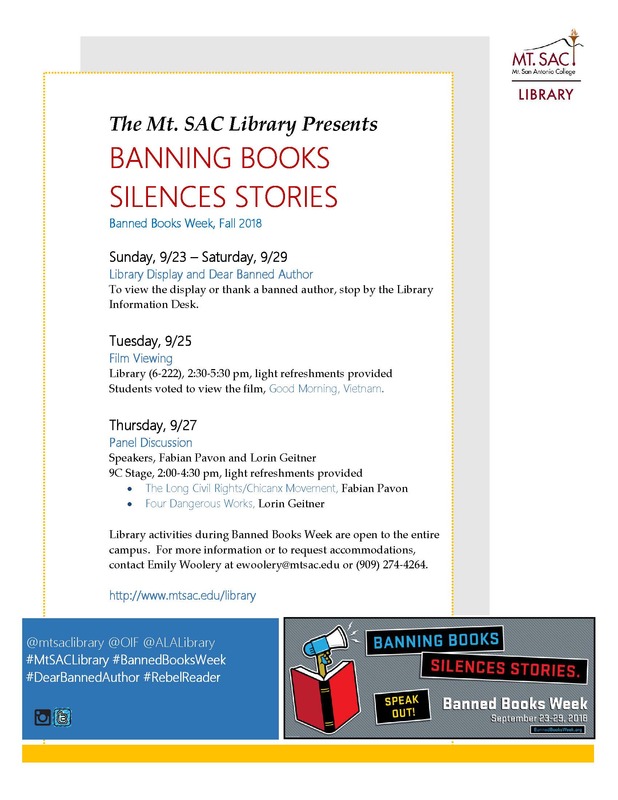 In honor of Banned Books Week, Mt. SAC students voted to watch the film, Good Morning, Vietnam. Join us to watch the film and see how individuals deal with attempts to censor the news.